This happens continuously: You shops a product online, but when the object arrives to your home, you notice that is too small or too big. RealSize App helps you to avoid this kind of mistake. Add notes to the object, and also links that can be used later. Adjust the color to aproximate to the look of the real object. Give a name to the object, and store it in the object Gallery for later viewing. Darle nombre y guardarlo en la galeria de objetos para posteriores visualizaciones. Share the objects you have created, and access to objects created by others, using email or through its publication on web. 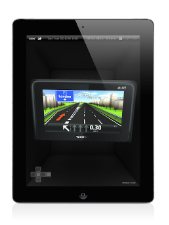 RealSize App is an innovative tool that combines several different technologies (3D rendering, physics, multitouch, motion sensors) to provide you with a very realistic perception of the object's actual size. RealSize shows the size of an object as if it were in your hands. Enjoy knowing the real size of a gadget as soon as their specifications are published on the internet. 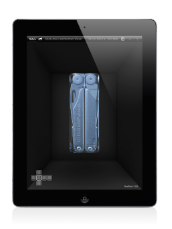 With this tool you will be able to precisely see the actual size of a device before it arrives on market. How big is the biggest stamp in the world?, how small is the smallest bone in the human body? 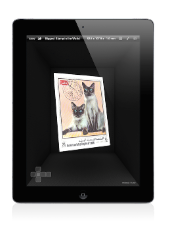 Enjoy creating your own virtual reproductions at home and sharing your knowledge with family and friends. This happens continuously: You shop for a product online, but when it arrives you notice that it is too small or too big. Before shopping for a product online, make sure that it is the exact size you expect. Creating a virtual replica of an object couldn't be easier. Define a 3D box using the width, depth and height of the object. Fit pictures of the real object over the appropriate section of the box. A very simple and surprisingly effective procedure. Step 1. Easily introduce the width, depth and height of the object. By doing this, you will have a first view of the life size of the object in seconds. Width, depth and height is information that is easy to find in the technical specifications of any product. You will immediately have in front of you a 3D box with the dimensions of the real object. This is a first approximation, but usually good enough to determine how big or small this object really is. RealSize. From tech specs to an object in a snap. From tech specs to an object approximation in a moment. Obtain the width, depth and height of the object. Launch RealSize. Create a new Object. Apply values. Done. Step 2. Improve the realism of the model you have created fitting the pictures of the real object over each face. The process is fast, easy, pleasant and works very well. 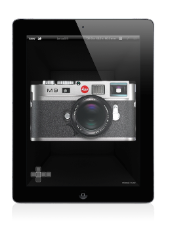 Look for pictures of the object on the internet, save them to the iPad Photo Gallery. Apply one by one over the faces of the 3D box. The process is so easy a child could do it, and the final result is astonishing. RealSize. Add and fit pictures with ease. Add and fit pictures with ease. Just select the face you want to edit. 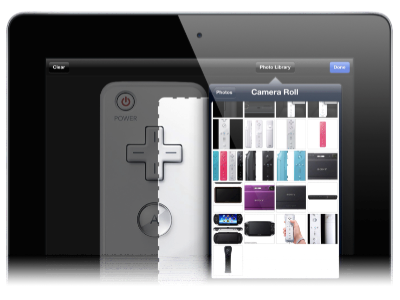 Select a picture from the Photo Gallery and fit it into the dotted area with multitouch. Repeat the process for the different faces. Apply Color, Name, Notes and Links. Once your replica is finished, you can enrich it adding more details. If the object is interesting for you, you will enjoy adjusting the details and collecting and storing related information in the notepad provided. Adjust the color to approximate that of the real object. Give a name to the object and store it in your "Object Gallery" for later viewing. Add links to webpages that have more information about the object. These links will be automatically opened in Safari. RealSize. Add color and names, notes and links. Adding extra information is also very easy. Add Names, adjust colors, write your notes, collect webpage links. Share your objects. Enjoy objects created by others. A RealSize object can be stored in a file with extension .rsz that can be shared in the normal way. 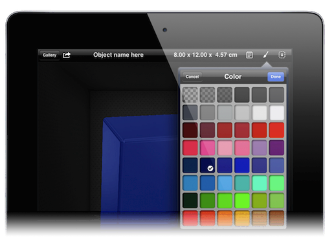 When RealSize is installed in an iPad, an association is established between .rsz files and the RealSize App. Any file found with this extension (ie. 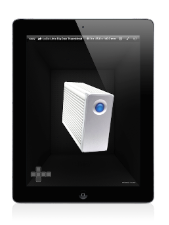 in an email or a web page) will be automatically opened in the RealSize 3D Window, as if the object has been tele-transported. 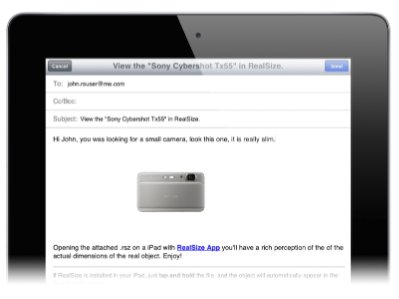 Objects created by RealSize can be sent directly by email. Just select the "Send Object by Email" option, and an email template appears containing the attached object, pictures and instructions. To view the object received by email open the .rsz file like a normal attachment and the object appears like magic. Access objects published on the web. If you are on a webpage that contain objects in .rsz format, just tap over the link and the object will automatically be downloaded and shown in the RealSize 3D window. Publishing .rsz files on the web is an excellent way to share your objects with the world. Share your Objects by Email and access to Objects published on web. Share objects in different ways. Send and receive RealSize Objects by email. Share your objects using .rsz files on webpages, which will be easily accessible by other users of RealSize. ....if this is not possible...., the second best option is RealSize App. Try it, it's easy, fast, precise and pleasant to use. 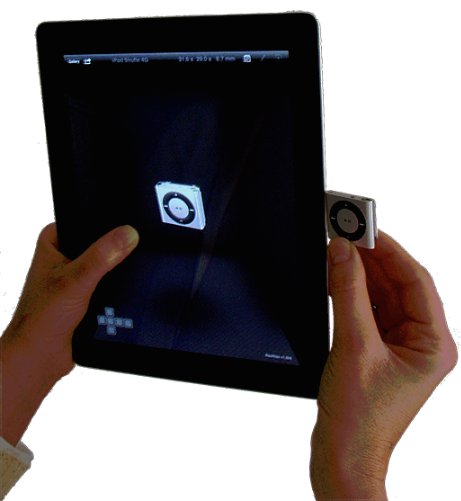 A free viewer for the object replicas created with RealSize. Solve your doubts about the size of an object in the blink of an eye.